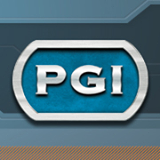 Throughout the years, POWER-GEN International has covered it all, providing a world stage for the innovations, ideas and solutions that have formed the industry for more than two decades. Since its inception in 1988 in Orlando, POWER-GEN International has traveled coast-to-coast and evolved into the largest, most respected power generation event in the world. Turbonetics is pleased to participate again this year and will be displaying our latest innovations of turbochargers, heat exchangers and regulators for engine aspiration requirements for increased power and efficiency. Complimentary passes are available by contacting your Turbonetics Sales Representatve.